What is kue lapis legit ? My answer is a very rich thousand layers cake that so rich and yummy and dense yet melt in your mouth and you do not want to know what makes it oh so darn good and sinfulicious. That and the spekkoek spices aroma as you eat them layer by layer. Yepp you heard me .. layer by layer .. It is so rich that you do not want to eat a lot of it yet you want to savor the flavor. See those thin layers? It was done by the hideous process that takes at least 2 hours to 3 hours baking 1 cake. My recipes makes 1 of the 8″ pan size or 2 of the 6″ pan size. You bake the cake 1 layer at a time. Each layer use 1/3 cup of batter. So you spread your first layer of batter in a greased and lined with parchment pan. Then bake them for maybe 5 minutes, depending on your oven, just until the top is golden brown. You don’t want to do it too light because you want to be able to see the layers, yet not too browned that the cake looks too dark. Lots of different variation of recipes out there in the Google world. Most of them will tell you to use bake function on your oven for the 1st and second layers. I don’t. See I am just a rebel in the kitchen. I found when I do that, the bottom part was overcooked (the polite way to say burnt!). So I went straight using my broiler with low heat setting and put my rack in the middle section. That works better for me. But again, you need to get to know your own oven. The spekkoek lapis legit or spiced thousand layers cake is the original version. What is spekkoek? The cake was developed during colonial times in the Dutch East Indies. It contains a mix of Indonesian spices, such as cardamom, cinnamon, clove, mace and anise and these spices mixture is what we call spekkoek. The cake as I mentioned above is so rich as it contains lots of egg yolks, sticks and sticks of butter, very little to none flour, some sugar and the spices. If you are not a spice person, you can omit the spekkoek spices. So many different variation to lapis legit these day that I am surprised that there’s not red velvet version of this lapis legit. Should I try it? Maybe..
Lapis legit spekkoek is popular in Indonesia and served as holiday treat, especially for Christmas, Chinese New Year or the Idul Fitri as well as other celebration in life like wedding, birthday and such. In the Netherlands, the sliced cake is traditionally served for dessert in rijsttafel. The Dutch term spekkoek translates literally as pork belly (or bacon) cake, a name derived from its appearance of dark and light layers. Its Indonesian name, lapis legit, means sweet layer cake. That make sense now. Who does not like bacon right?. No wonder the cake is layered and so rich. Did I mentioned it uses a lot of egg yolks? One recipe, depending on which one you are using, uses from 25 up to 60 egg yolks in 1 recipe for 1 pan ya’ll! Talk abut Paula Deen and butter! Mammamia! So, despite the amount of egg yolks and butter of this cake, I crave for it from time to time. I bought it online from a friend who sells those cakes. While it was good, it was not cheap either. And don’t get me wrong, I get it. I get that the price is high, as the process is very labour-intensive, but when I ordered a 6″ cake for $35 and I want it to last longer than 10 minutes. Literally open, sliced and eat and boom it’s gone. I did not even get the change to blink thanks to my boys. So that’s it. No more buying the cake. What do I do when I want it besides biting my nail? I was too scared to make this cake myself. It reminded me of the beginning of my kitchen journey. Back in 5th grade, I wanted to make this cake myself. My very first baking of course I had to start with a hard to make impressive cake. Silly me!. Well after cracked and separated those 30 yolks and started the process, the cake turned out oh so wonderfully failed. Yepp. I remember sat on my chair with the miserably failed lapis legit in front of me. We had a staring contest for quite some times. I was almost cried. Imagine! 30 eggs wasted. I failed I failed…It was hard, eggy and short. No more baking for me I told myself back then. Stubborn me though…I keep coming back to the kitchen and my love of good food won’t let me give up. It’s easy to cook but cook an actual good food is takes a lot of effort. You need to actually know your ingredients, the character of each ingredients, how it react when you mix them in the same room errr..pot or pan or wok or whatever. I started analyzing recipes before I make them. And try to dig deeper into my memory on how the food taste as I remember eating them and make my own recipe. It is a fun process for me. The challenge of creating the dish to what I remember, based on my research and my poor ‘ol memory is what gets me going. The minute that I taste the food and it trigger my brain cell and brought up my memory when I ate the dish, I know I got it right. So with that said, I keep on trying. Years back when I moved to Texas, I tried to make this cake. I found a recipe online that used less egg yolks and it used egg white in it. I was disappointing, It was dry dry dry. And there I stopped trying to make that. Until recently. Well I think as I am more mature (read : OLDER), and my cooking and baking skill is a tad better than I was at 5th grade, I come to a realization that a good lapis legit is made of yolks only and lots of butter and have to be a good, I mean good fatty butter. No egg white please. If you like the drier version then go ahead. use the white. I tried and tried and now I can make them with my eyes closed! Well not really literally closed as I will ended up with an overcooked lapis legit :). I made variations of lapis legit and improvise on my recipes. And I got it now. It’s perfect for me. Taste just like what I remember. The plan was making tricolor layer cake, pandan green , vanilla yellow, and chocolate top. Alas I lost count on how many layer of vanilla, so I skipped the chocolate. I pat myself on the back! I did it. The compliments I received from friends after trying my lapis legit were overwhelming. I started getting order to make them for friends. Packed and shipped them. What’s the essence behind the story? Besides spekkoek or vanilla or chocolate or pandan.. Do not give up. Keep trying. Face your fear, do not run away from it. Well I kinda did for a while. But I came back and tackled the beast with my very own hand and mixer and spatula! Take the process as a cheap gym time. You have to stand, squat down, stand up open the oven take the pan out spread the batter, open the oven door again, put the pan in, closed the oven door, squat down to watch them browning, stand up open the oven door take the pan out, brush some butter and press the cake a little and spread the batter and repeat until all batter used. You do this for 2-3 hours. And your reward is you will get o at this yummy layer cake, layer by layer. That’s another point for layer cake. The good one, you should be able to pull each layer apart as you eat them. If it stuck to each other, it’s not rich and buttery layer cake. Made this for a friend, with a special request to her. Cut it and take picture :). I wanted to see the inside layer. So guys…don’t give up! No matter what kind of fear you are dealing with. Deal with it layer by layer! 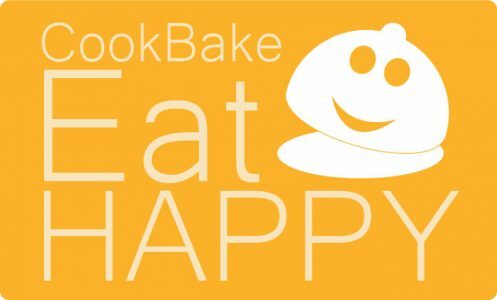 Previous Post CookBakeEatHappy is a participant in the Amazon Services LLC Associates Program, an affiliate advertising program designed to provide a means for sites to earn advertising fees by advertising and linking to Amazon.com.